A no-holds-barred, tough-love guide to dealing with your emotional issues and changing your mindset in order to finally lose weight, from the creator of weight loss reality TV, including The Biggest Loser and Extreme Weight Loss. Every fat person (yes, "fat person"-there'll be no sugarcoating here) knows that you need to move more and eat less to shed pounds. Not exactly rocket science. Yet that simple formula doesn't get to the root of what makes someone top out at 500 pounds, or sometimes just carry an extra fifty. The missing link in transformative weight loss is mental and emotional fortitude. 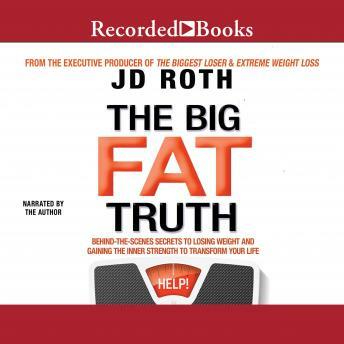 Mining the same problem-solving and motivational skills JD Roth has used so successfully with reality show contestants, The Big Fat Truth gets readers to address the real reasons they're overweight (and nobody gets away with saying it's because they love food). With his combination of enthusiasm, empathy, no-holds-barred style, and master story-telling abilities, JD helps them unearth and tackle the unresolved issues they've buried under the French fries and chocolate chip cookie.